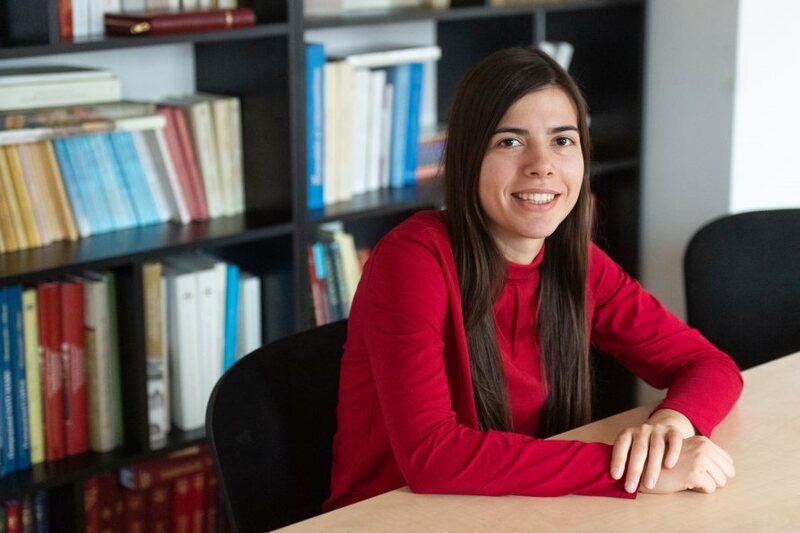 A few days before the March for Life 2019, the newly-elected president of the Students for Life Association, Eliza Clotea, a senior student at the University of Medicine and Pharmacy Carol Davila, Bucharest, confessed in an exclusive interview for Basilica.ro that the most difficult part of her activity is the ‘fight against the obstacle of mentalities’. Eliza said she has a difficult work to do, but ‘with a strong will and love a world for love can be built’. Basilica.ro: Eliza, what is the most difficult part of your activity and whom do you count on when all seems the hardest? E.C. I believe that the most difficult moments are those where we fight against the obstacle of mentalities, meaning that we meet with people that doubt the necessity of a pro-life culture and bring forward the argument of legality: Why should we help a woman keep her child if abortion is legal? Sometimes it is harder to explain someone that what is legal is not necessarily moral or good, or the fact that in most cases abortion is not a woman’s choice, but instead it is something she is pressured to do. A woman in pregnancy crisis ends up “choosing abortion”, because of the pressure she is subjected to from those around her, from her partner, her husband, her family, her relatives. It is necessary to explain these things, because there are many that don’t know them, never heard about them, and otherwise, the main aspect of the pro-life message will never be understood: Being pro-life means being supportive with those in need. I am happy and thankful that the founder and former president of the Students for Life Bucharest, Alexandra Nadane, and other older volunteers are close to me when I need them, to ask them for advice when my experience is not enough, to find the best solution for a problem and for the moments when I need encouragement. Basilica.ro: How does medicine go hand in hand with volunteering? But especially with pro-life volunteering? E.C. They go together very well. I think that every student, even one who studies medicine, recognizes and discovers that there is time for volunteering, if he is honest with himself and tries to arrange his schedule. Pro-life volunteering is one of great benefit, both personally and for the society. From my point of view, as a student in medicine, I do not think there is a better place to volunteer. We, medical students and future physicians, are closest to life and we know how precious it is at every moment and place of its existence. is pregnant, her baby is doing alot of stunning things. Before the mom knows that she is pregnant, her baby is doing a lot of stunning things. Science has gone a long way and it reveals every day new things about the miraculous way in which a child develops in his mother’ womb. From the first second of conception, the baby has unique DNA, different from that of his parents. At about 16 days his heart is starting to beat – with the machines that can be found in research laboratories it can be detected, but the usual ultrasounds in hospitals do not have such a performance yet. At only 8 weeks, baby’s organs are almost fully developed, and the little one has exactly the look we each have when looking at ourselves in the mirror. I would say that he’s a “tiny human” – actually a real person, a real person from the first second! These things are special because everything is happening so quickly and sometimes, before the mom knows that she is pregnant, her baby can do a lot of stunning things. Basilica.ro: There are a few days left until the March for Life. How are preparations? E.C. We are very busy preparing the March for Life! It is the time to put all the details in place. But the emotions are also raising, getting bigger … bigger, bigger and bigger, so that we say: well, Thank God there is only one month left until March 23! Talking now about serious things: what is very important when we prepare the March for Life is the message. If people understand the need for support for women in pregnancy crisis and the need for a pro-life, pro-love culture, then they will come to the March for Life. This is why the whole Month of March is called “The Month for Life” and includes a series of pro-life events which increase the visibility of the March and give people the opportunity to discover the beauty of engaging in this movement. We are not only pro-life in March, but throughout our whole life. We are only doing more exercises in March so that we can be this way throughout the year! Basilica.ro: Approximately 5,000 people marched for life in 2018 in Bucharest. What are your expectations for this year? Can you offer some insight into the schedule of this year’s Month for Life? We want to see as many people as possible so that our message, the pro-life message, is strong: Yes, unborn babies and pregnant women need our support and we are with them. I have read an extraordinary comment made by an American editor a while ago that said “Here’s what separates the March for Life from any other march: nobody in attendance is marching for themselves. Nobody is demanding rights or privileges for themselves. Everyone is marching on behalf of those who cannot march.” That is exactly the way it is and this is the reason we need to march. On Saturday, March 16th, the Run for Life 2019 will be held, where more than 500 runners are expected to take part. The most important moment of the Month for Life will be the 2019 March for Life “Unique from the First Second” on Saturday, March 23rd. Every event, even a small one, has its role and we encourage everyone to take part in as many as possible. We will be publishing on March 1 the calendar of events organized by our organisation and these can be found on our webpage, studentipentruviata.ro. We are very happy if other associations organize their own events this month. Basilica.ro: Going back to volunteering, what was your biggest fulfilment as a member of the Students for Life Association? E.C. The moments when I work with other volunteers to set up an event, but also when we achieve our mission and look gratefully at the outcome of our work. These are the moments when I realize how beautiful things go hand in hand: God’s will and what volunteers do. There have been many moments like those, which help me when I need encouragement or when I encounter different difficulties. Basilica.ro: Hundreds of volunteers are preparing the pro-life events in March. What are they motivated about? What is the most important reason to be a volunteer pro-life? Why should anyone attend the March for Life or get involved in organizing the March? E.C. First of all, I think it’s about gratitude. They are grateful that they have received the gift of life, that someone said YES for them. I think this is particularly true among my generation, of which more than two thirds are missing. I was born in 1995 when, according to official statistics, 68% of children were aborted. The percentage is even greater, unfortunately, because medical abortions and abortions done in private clinics are not included in these statistics. ”It is a tough reality, but many of us are missing. It is a tough reality, but many of us are missing. People who, through the unique purpose that God had given them, would have brightend up our days and would have brought many good things into this world. At the same time, volunteers want to help, to do something useful and good. The greatest good that someone can do for the person next to him is to save his life, to save him from the suffering that destroys and to bring him closer to the truth. This is what volunteers and all those involved in the pro-life movement are trying to do. Through the love we show to women in pregnancy crisis and their children, we prove that we understand what it means to be a human: to show love to those in need of support, of help. This is why we are also participating at the March for Life. We show that we understand what love, compassion, humanity means, and that hundreds of years of scientific and economic development have not driven these fundamental values ​​away from us, but have given us more evidence to do what is natural: to protect every life, at any time and in every place of its existence. 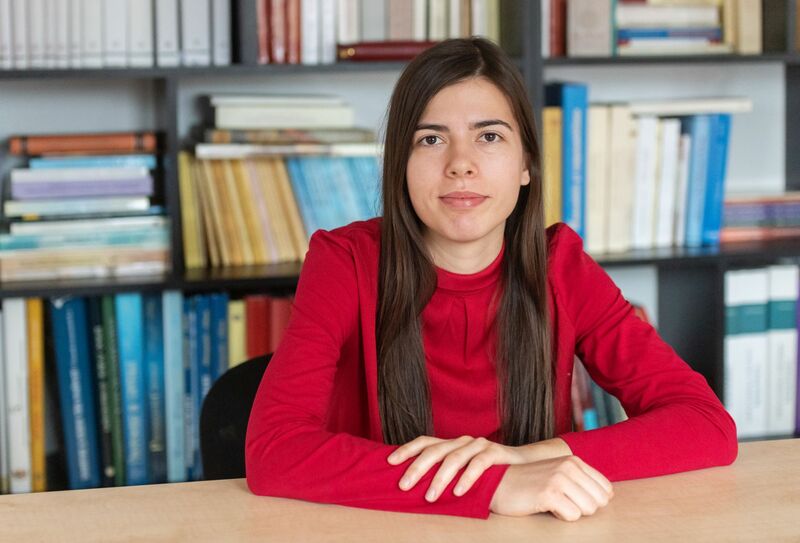 ​Born in 1995, from Brașov. 5th year medical student at the University of Medicine and Pharmacy Carol Davila, Bucharest. She has been volunteering at Students for Life since 2015 and since June 2018 she is the president of the organisation. In Romania, abortion upon request was legalized by the communist regime in 1958, restricted in 1967 and reintroduced in December 1989. In Moldova, abortion upon request was legalized by the Soviet regime in 1953. In Romania, the March for Life was first organized in Timisoara in 2008. 2017 – 287 (138 cities in Romania and 149 villages in the Republic of Moldova). The March for Life is unconfessional and apolitical. Local organizers are independent of each other.